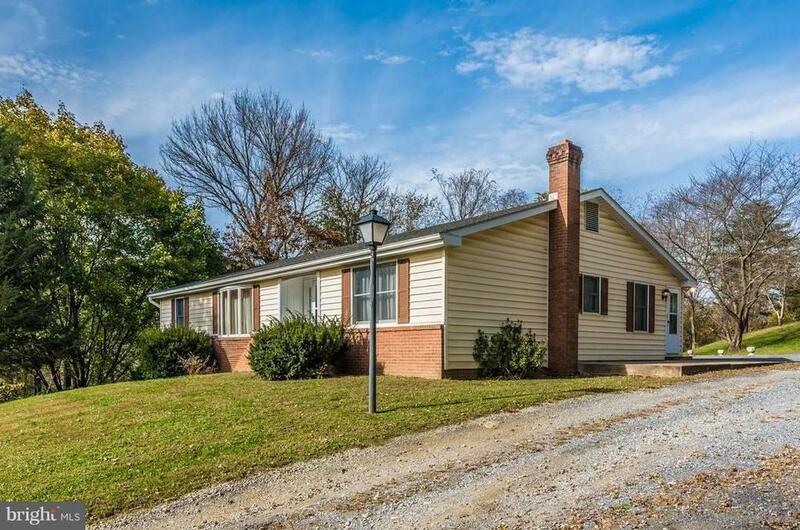 Large Rancher nestled on oversized secluded lot surrounded by trees. This home has 1820 main-level sq. ft., and includes 3 bedrooms 2 full bath, kitchen with new stainless steel stove and main level laundry, master bedroom with walk-in closet and master bath. The main level has dining room, living room and family room, plenty of space to spread out in this home. Large basement with rough-in for bath and finished family room with masonry fire place could be set-up for future wood stove. This walk-out basement has lots of potential for future expansion, 16 x 20 deck. Per tax records lot size is .94 acres. This sale will also include an additional 7500 sq. ft. lot. Close to MARC Train, C&O Canal, Library and shopping. Hurry wont last long!